Two sisters created these beautiful vases after seeing a similar piece created by an adult student. We don't know who the adult is, but know she should be flattered by the inspiration. Joyce Scalzo, our long time pottery instructor, pulled out all the stops! 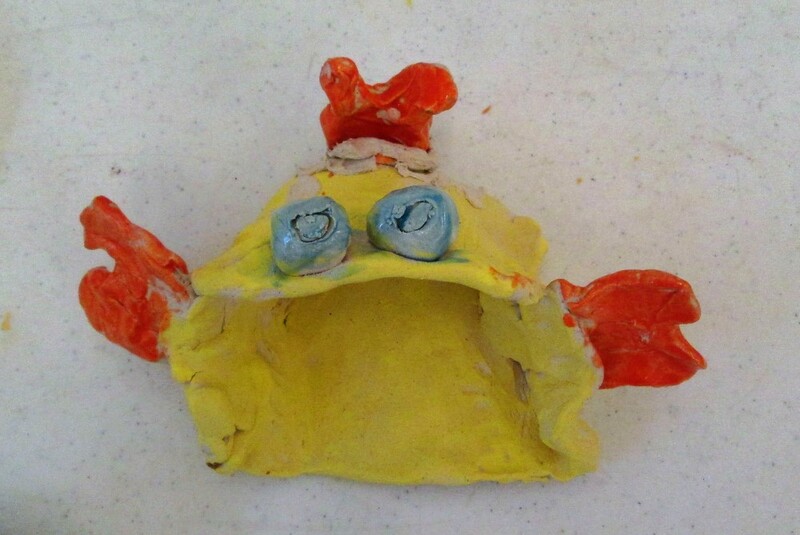 The work of her students speaks to her love of exploring every possible technique used in creating with clay. Kids found their own passion as they worked with glazes, textures and techniques to create whatever they imagined from functional rice bowls to whimsical jelly bean servers to beautiful wall plaques. A very special thanks to Joyce and her ever-present assistant, Monique!